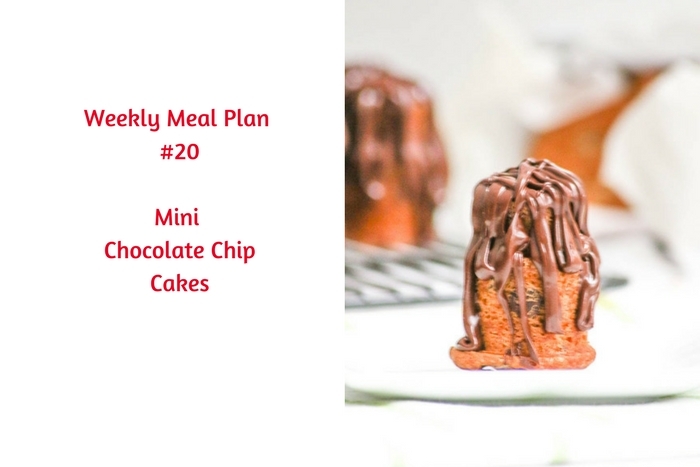 I am mighty proud of my itty bitty Mini Chocolate Chip Cakes that I am serving for Weekly Meal Plan #20. 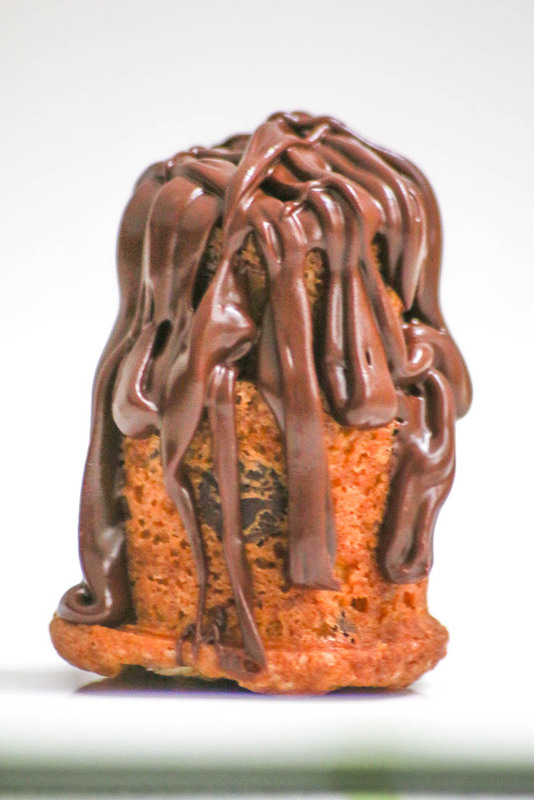 They pack all of the flavors of a big bundt cake into individual servings that are perfect for dessert or snack time. If you want a lighter version, eliminate the chocolate drizzle. Yet, quite frankly, it is SOOOOO good that you may want to rething that one. Now let’s see what everyone else is bringing to our menu in Weekly Meal Plan #20! Fuel up with protein for breakfast with this Spinach & Tomato Veggie Omelet from Kimmi’s Dairyland. It’s the week of the slow cooker and fresh vegetables. Pull together the ingredients for Turkey Vegetable Soup from The Shirley Journey in the morning and dinner will be waiting for you when you get home. Pick a few fresh tomatoes and some basil for these Caprese Sliders from Kimmi’s Dairyland for an easy Thursday dinner. You can’t forget the chocolatey dessert! These Mini Chocolate Chip Cakes will give you your chocolate fix whenever you need it this week.